HomeBrotherhoodEllya: Don’t give up on the New Weapons! Ellya: Don’t give up on the New Weapons! 1. I put these two GNs together for you in October of 2003‚ at the same time as I worked on the material you received for Feast 2004. (See “The Mysterious Keys,” Parts 1 and 2, ML #3472-3473.) They were originally going to be part of the Feast material for that year, but we realized it would be too much reading and too much information, so the Lord showed us to hold them. Due to the restructuring following soon thereafter‚ and much needed work, I only recently got back to these and pulled them out and prayed about publishing them for you. 2. I didn’t rework these GNs or add to them, so not everything is up to date in mentioning what the Family has been through recently, and I’m sure that the Lord would have a lot more to give us about the keys today if we asked Him—and I hope to focus on that soon, when I cover the keys in the “Art of War” series. 3. But for now, here’s more encouragement and counsel from the Lord about the keys‚ given in answer to questions that some of you sent in. I pray that it’s a blessing to you, and helps you to use the keys more. …..Where is this GN? I demand its publication!!! <Ellya> You are free to receive more on the keys yourself! For that MO letter may take some time to really come out officially. But what’s official these days? Do not wait for others to tell you to seek further on the keys. Allow the pent up anxiety and desire for such things cause you to seek them yourself. Seek me – and seek the keys themselves – for they do live, and they do talk – and it is the way you on Earth might consider a robot talking to you . . . it’s something which seems as though it ought to be inanimate and yet it’s alive, and it speaks! God Himself becomes Human in the Son. The Keys and the Word are one in the same way. They are the way the Word will come into practice in a relatable fashion that the whole world can relate to! I SAW A ‘KEY CRAFT’ – koreg naphi – manifest and transform into a shape of a man – more like a glistening, energy filled robotic – like person – but it was merely the full body of the craft compacted into a human size – like armor covering a person from head to toe! <Koreg Naphi> I am a manifestation of God’s power in electricity! The keys of Lightning, electricity and protection could be said to be represented in me! The Enemy greatly fears my presence on any battlefield! Don’t hesitate to call me forth! We are going to destroy his power on the battlefield COMPLETELY! I will use Arcothon’s strength, as well. Call us both forth, together! <Ellya> So you see, calling on the keys can cause a great variety of things to take place in the Spirit. Calling is the important thing – but also being a faithful believer is a major part – and that’s where your continued education and further study into these matters is also important. I’m sorry that now it seems there is hardly any place for people who love the New Weapons on Earth . . . That is why you will have to come fully into the Spirit of God to further your study of these things, including Spirit Helpers, Praise, the Keys, and Loving Jesus, and knowing how these all interlope and connect! L.J. – A LARGE SECTION ON TOP BUBBLES OUT – AND A TREMENDOUSLY HUGE GUN PROTRUDES FROM THIS HALF – GLOBE PINK AND BLUE SHAPE – THE WEAPONS OF PRAISE, KEYS, PRAYER, SPIRIT HELPERS ETC. 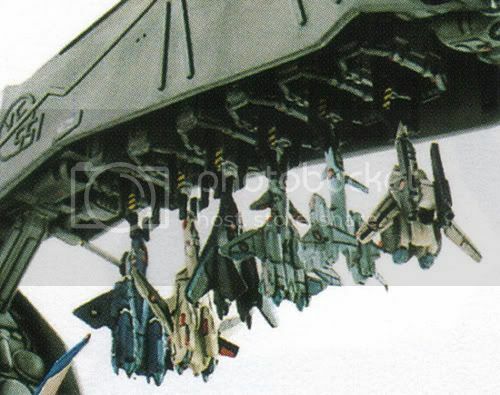 ALSO PRODUCE VARIOUS UNIQUE TURRETS, CANNONS, AND THE WEAPON OF UNITY OR BROTHERHOOD RELEASES THOUSANDS OF PHOENIX PHAITERS, WHICH REMIND ME OF FULLY-DECKED OUT SU-PA- PAKKU EQUIPPED VALKERIES (FROM MACROSS FRONTIER) SEVERAL OF THESE FORM A PATTERN AROUND THE PHOENIX AND THE OTHER S REMAIN BEHIND IN ATTACK FORMATIONS! <Ellya> Don’t give up on the Weapons, for they are the power for this new era! Get ready for the future by focusing your energy and mind and heart and soul and spirit and body and time and love on the New Weapons! These combine all things the Lord has said and revealed into handy, simple-to-use tools/weapons. The Keys Turned to Swords are the final and most deadly application of the Keys. Each of the Craft you see before you is capable of launching the Keys Turned to Swords at the Enemy and totally decimating their ranks. <me> Smart! I wish to make use of them! <Ellya> Board the Penuel and command these! And remain also with me, and with Fiona, for she is one who has worked tirelessly to help send forth the key-powered multi-purpose craft, the Phoenix Phaiters! FF-ing of this era is called Ph-Ph’ing! <me> Aww, Ellya! OK, ma’am! Thank you for your class today! I WAS AS A CHILD WITH HER, TODAY, BUT HER BEAUTY STILL CAUSED ME TO LOSE MY BREATH WHEN I LOOKED UP AT HER! NOTES on the Prophets! Spirit Trippers! John Paul Jackson. Sadu Sundar Selvaraj. Paul Keith Davis. Ian Clayton!